If you can't find halibut, any firm fleshed white fish will do. I cook them on cedar planks to prevent the fish from sticking. A grill basket works nicely too. But if you start with a clean grill that's well oiled and hot, sticking will be kept down to a minimum. This recipe is from the cookbook, Family Table: Favorite Staff Meals from Our Restaurants to your Home by Michael Romano and Karen Stabiner. Blanch the snow peas in boiling water for 1-2 minutes. Remove, drain, and plunge into a bowl of ice water to stop the cooking. Dry on paper towels, then cut them on the bias. Zest one of the lemons using a microplane grater. Whisk together the zest, juice, shallots, and olive oil in a medium bowl. Stir in the herbs, cherry tomatoes, and peas. 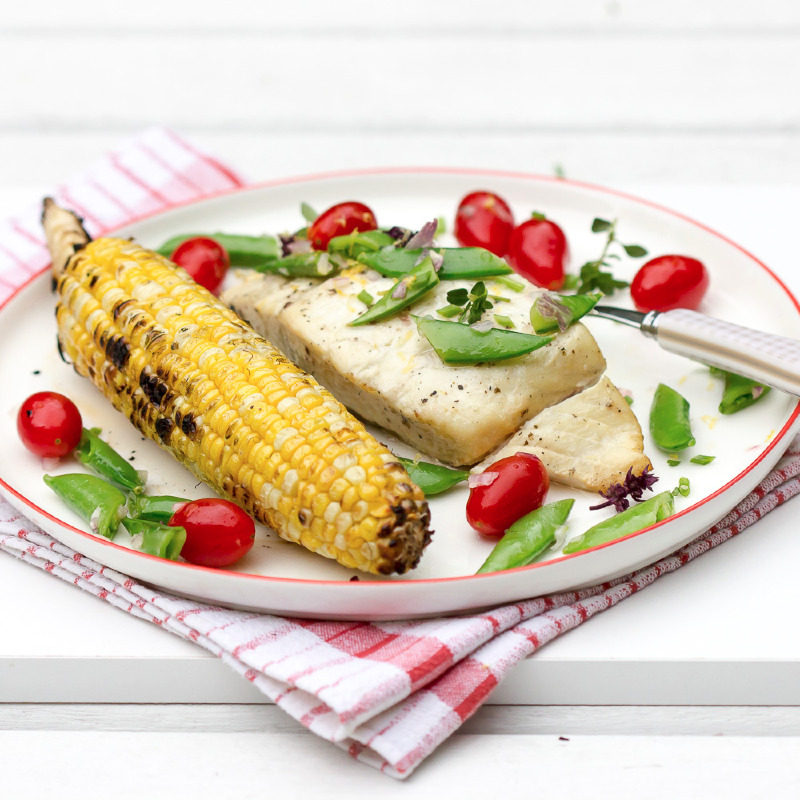 Season the halibut with salt and pepper. Rub it all over with olive oil. 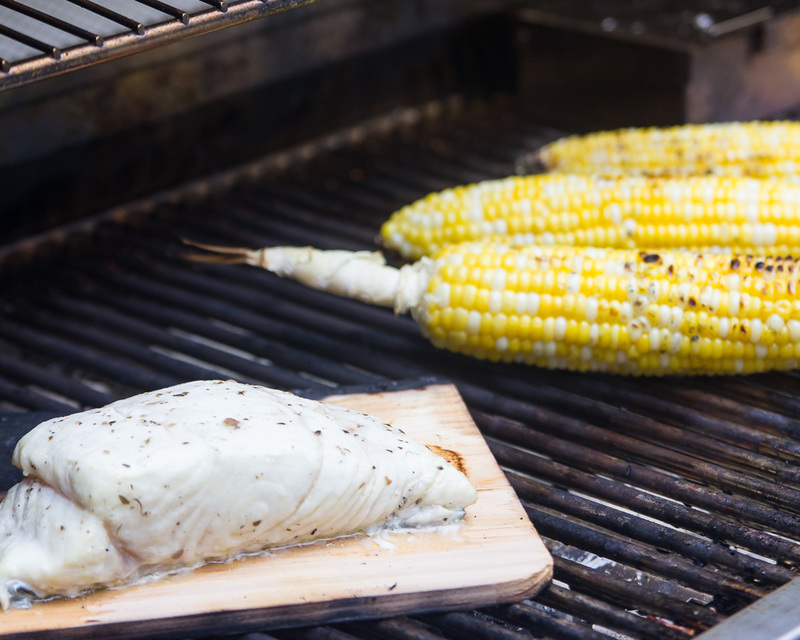 Place on a hot grill, grill pan, or cedar plank and cook until opaque throughout. If using a plank, cover, turn heat to medium low, and cook about 15 minutes. Otherwise cook on high heat, turning once, for about 3-5 minutes on each side. Place the fish on a serving platter, top with the salad, and serve.